Be remembered by all who receive your full color business card. A unique product with a special flair. 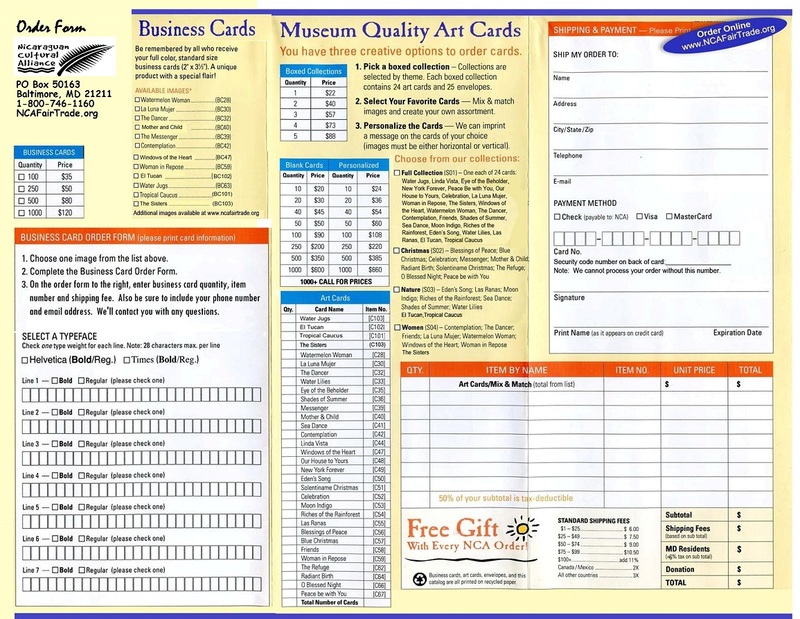 Cards are standard business card size (2" X 3 1/2"). Printing limit: 7 lines with 28 maximum characters per line. Cards can be ordered in quantities from 100 to 1000. Prices are: 100 cards - $35 250 Cards - $50 500 cards - $80 1000 cards - $120 Printing is included in the costs shown. Please enter the requested printing information in the box provided above. (When entering information, please do not hit the enter key since it will likely send the order request before you have completed all of the information.) Please indicate if any line should be Bold typeface instead of regular typeface. Also indicate if you prefer Helvetica typeface or Times Roman typeface. Make certain you enter your email address and any special comments in the spaces provided when you check out. Be the first to review “Business Card – Creation [instructions below]” Click here to cancel reply. 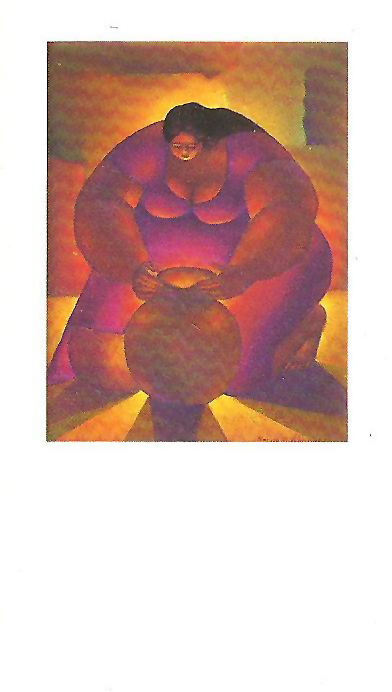 Here we offer beautiful original art in the form of posters, notecards, custom business cards, paintings, pottery and crafts. 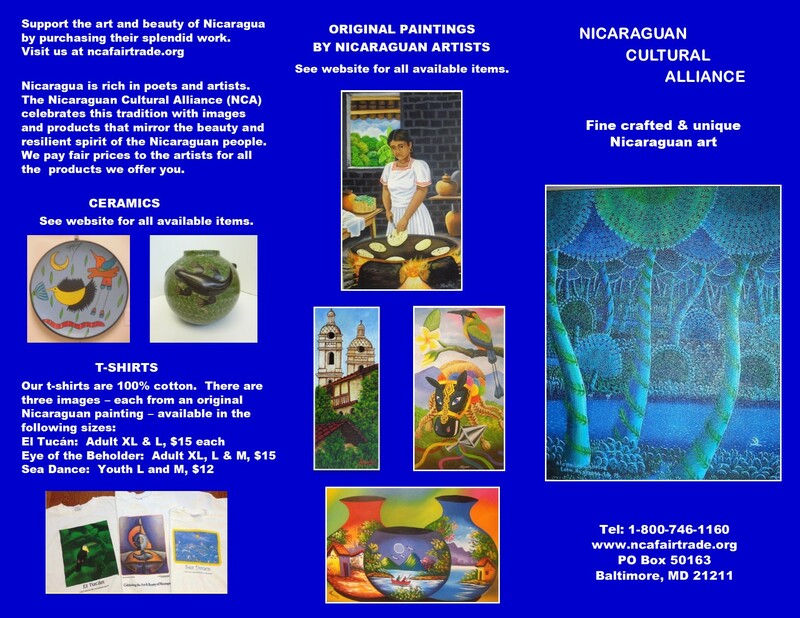 We are working with Nicaraguan artists to bring more wonderful art to the public and to benefit these great artists. You can order directly from the site and pay using our secure Paypal service. or by sending us a check for the order. Paypal accepts your credit card for the transaction. Or, if you would rather call us with your order, you can reach us at 1-800-746-1160. However you place your order keep in mind that 50% of your purchase is tax-deductible and all of your money goes to support the wonderful artists of Nicaragua. 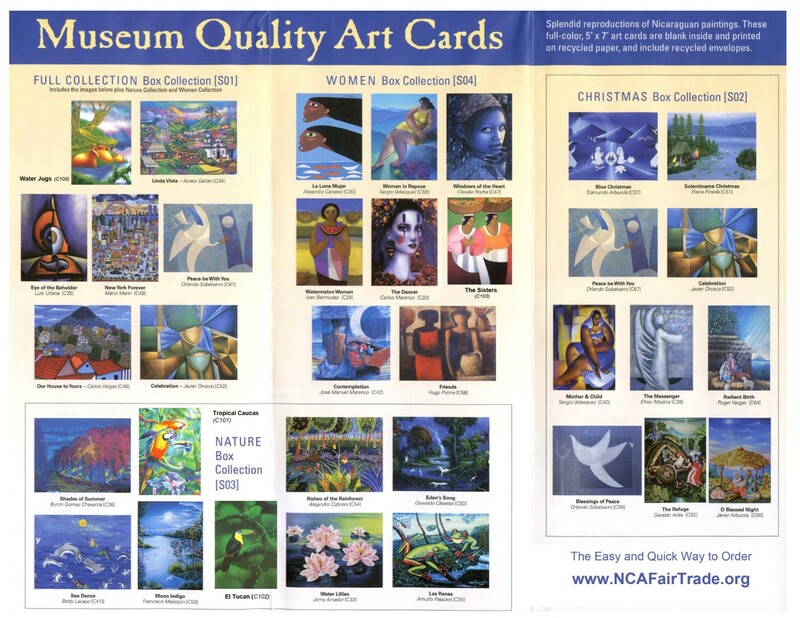 If you would prefer to mail in your order, you can download and print the pages of our Brochure and Order Form. Nicaraguan Cultural Alliance © 2019. All Rights Reserved.